The Best Rite 202PH is a porcelain markerboard with presidential trim. This board offers a layer of low gloss magnetic steel laminated to a 7/16" thick MDF substrate. 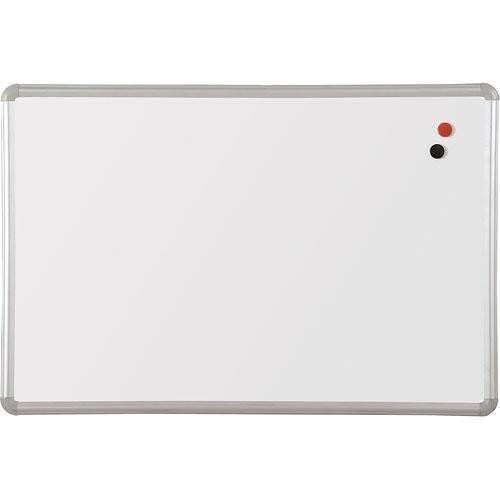 This board features good color contrast and smooth surface writability with no ghosting. The presidential trim is an elegant 1" wide aluminum alloy with rounded plastic corners.